Eminent astronomer, physicist and seeker of truth – Galileo Galilei was born on February 15, 1564, in Pisa, a town in Italy. His father Vincenjio Galilei was a wool trader. Galileo belonged to a upper-class family, but their economic condition was not so good. He was the eldest in the family of seven brothers and sisters. His father studied music and was a music lover. Galileo inherited this trait. Since childhood he played the flute very well and was a good hand at drawing. He was an intelligent child, who designed various toys. This artistic streak made him popular among the local folk. At that time Pisa town was part of the Tusque state of Italy. It was the center of art and knowledge. Galileo’s childhood was spent in this artistic and literary environment. It is a coincidence that this great scientist and England’s famous playwright William Shakespeare were born in the same year. 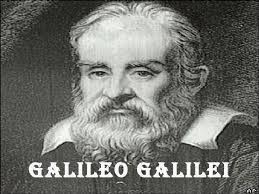 At a young age Galileo was sent to the local school to study under the priests. Actually, he learnt more from his father than at his school. In 1581, at the age of 17, his father admitted him to the Pisa University to study medicine. But his mind was set on mathematics. Meanwhile, coming I contact with a scholar mathematician, his interest in mathematics became strong. Gradually, he gained mastery over mathematics. Meanwhile, at the age of 20, he made his first discovery public. At a cathedral in Pisa, he noticed a hanging chandelier from the ceiling swinging in the breeze. He counted his pulse and measured the time taken for one oscillation of the chandelier and found that there was regularity in its swinging. At the end of his study he concluded that if we swing pendulums of equal lengths at any speed, the time for one swing remains the same. He also demonstrated practical application of his discovery of the pendulum. Patients undergoing treatment can measure their pulse with a pendulum. He also visualized a watch based on a pendulum, but did not make it. 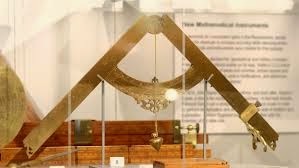 Sometime later Christiaan Huygens made a clock using a pendulum. It showed the minutes and seconds. Thus, his pendulum also served a practical purpose. In 1585, he went through a financial crisis. This resulted in his abandoning midway his university education through he continued with his self-study. Now, his interest centered on mathematics. On the basis of his study, he openly criticized Aristotle’s laws of motion. His deep study and fascination for mathematics came to the knowledge of the local grand Duke. The Duke appointed Galileo as professor of mathematics at Pisa University. This did not bode well with the other professors of that time who were jealous of the appointment of this 25 year old new professor. Moreover, Galileo did not even possess any university degree. He also raised questions on laws propounded by Aristotle. His courage to question the truth of Aristotle’s laws irked the senior professors who openly displayed it. On seeing a falling stone and leaf, Aristotle had concluded that the lighter object would take more time to cover equal distance to the ground. Galileo reasoned that it was due to the obstruction caused by air. 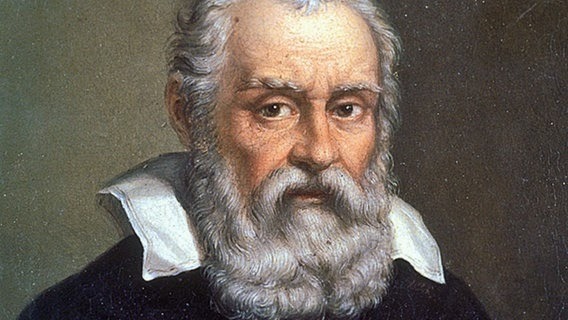 Galileo took two stones of different weights and dropped them from Pisa’s famous Leaning Tower. Though both stones varied in weight they fell on the ground at the same time. Galileo proved his point and questioned Aristotle’s hypothesis. Though the senior professors were present during the experiment, they were reluctant to accept it. It was a time when stop clocks were not available to measure time accurately. Depending on the height of Pisa Tower any object dropped from the top would take not more than three seconds to touch the ground. He found out another way to measure time. He took a 22 feet (approx 670 cm) long piece of teak-wood. After making a deep groove in the wood, it was bent slightly. This groove was chiseled to make it smooth and friction less, so that the ball placed in the groove could slowly move towards the ground. To measure time he had placed a pierced bucket with water falling drop by drop. He collected this water and measured time. To find out the effect of gravity, he performed this experiment and made some unique observations. He derived his laws of motion through this experiment. He derived his laws of motion through this experiment. He proved the mathematical laws experimentally. He further derived new laws of motion from it which were different from the established laws. The orthodox professors and religious leaders of that time did not accept his findings. They believed in the saying ‘old is gold’. The few who opposed him made efforts to relieve him from Pisa University. Finally, fed up with the opposition, he resigned from his post in 1592. 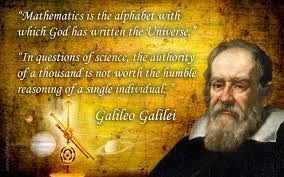 For someone who spoke the truth and unfaltering in his belief, Galileo had to face a few tough days. With discontinuation of his income he faced a crisis. In fact, his intellectual prowess made many people jealous of him and some also developed an inferiority complex. Others were not ready for change. Thus, Galileo got isolated. After resigning from Pisa, he went to his father’s house in Florence. But, his father met an untimely death. As the eldest son, the responsibility of seven brothers and sisters fell on him. Despite this he did not waver from his charted path. Meanwhile, he got a job as professor of mathematics at Padua University in Venice. His salary was also good. Gradually his difficulties ceased. He stayed there for 18 years and it was a period of relative prosperity and fame. Students from all over the world came to study under him. The future German emperor too, came to study here. He got interested in Astronomy after coming to Venice. 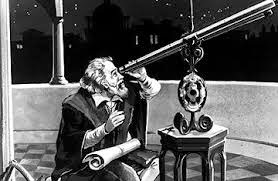 In 1609, he got the news that some scientist in Holland had designed a telescope with the help of a lens. He, too, designed his own telescope. The news of his telescope spread far and wide and people started flocking to see it. 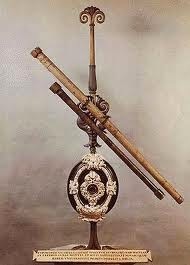 On the request of the royalty of Venice, he agreed to publicly display his telescope. For observing the sky with the telescope, he placed his telescope on the dome of the town’s tallest church, and observed the ships plying in the far sea. According to Galileo, and object which was 50 miles away could be seen just five miles away through the telescope. The Prince of Venice requested Galileo for a telescope for the army and the navy. He accepted the offer and gained respect and an increase in salary. Galileo observed the sky with his telescope. He first observed the moon and became the first human being to do so. Viewing the moon he came to realize that the moon was not flat, but comprised of mountains and valleys. He also measured the height of mountains on the moon. He noted that the planets, like the stars, did not shine on their own but depended on some outside source for light. He also took note of the fact that stars are sources of light, which emit light rays in all directions. He observed the sky and noted that the galaxy is clusters of stars. He focused his telescope on Jupiter and first found out its four moons. He also found out that the earth reflects the Sun’s light. Someone who views the earth from the moon will find same characteristics as in the moon when one views it from the earth. He opposed the traditional belief and announced that earth was not the centre of the universe. Scholars and religious leaders were furious and rained insults at him. Thus, all his new findings gave him fame as well as foes. 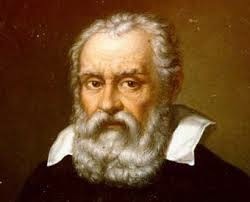 Galileo had a well-paid, permanent job in Venice. But his heart cried out for Florence, his native land. He began efforts to return to Florence. He thought of penning down his discoveries. His efforts bore fruit when the Grand Duke appointed him as the duke’s mathematical advisor. In 1611, he left Venice for Florence. His troubles began soon after he set foot here. Florence was the seat of the Pope’s decree. Galileo backed his discoveries with Copernicus theories. When Galileo visited the Pope in Rome, he was deceived into accepting the allegiance. He was banned from spreading Copernicus beliefs opposing religious order among the people. 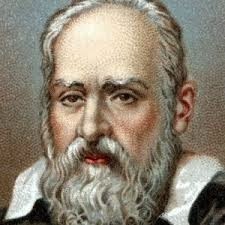 Galileo was now a broken man. In 1618 he had proposed a theory on the flood and abb-tides of the seas. This theory was also on the lines of Copernicus beliefs. It was believed then that the ebb and flood tide occurred according to the wishes of the Almighty. 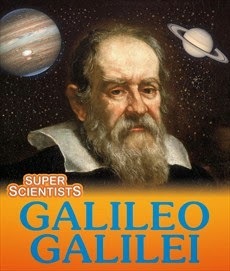 Galileo asked for permission to publish a book based on science. After a long delay he was granted permission. When the book was published and reached the Pope, he declared it against religion and accused Galileo of getting it printed through illegal means. The Book was banned. He was charged with fraud. Suddenly, everything seemed to go against him. 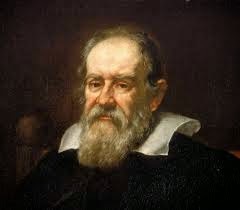 In 1634, at the age of 70 Galileo appeared in court. He was forced to accept the verdict and he stated, “I am now giving up my untruthful theories.” He also said that, “from now onward I will not spread these false theories.”. The experts in the court declared “ Earth is the center of the universe not the Sun.” He was sentenced to solitary confinement for the rest of his life. He spent the last eight years of his life in seclusion. Prior Permission was needed for any person to meet him. Galileo was worn down both mentally and physically. Finally, on January 6, 1642, this great thinker and researcher breathed his last, ending his suffering.